In 2014, Americans were written a total of 4.33 billion prescriptions per Mayo Clinic statistics. They also report that the average American is written more than 13 prescriptions a year. The World Health Organization has found that this number of prescriptions is over nine times the level of prescriptions written in western Europe, which is equivalent to the US in population. 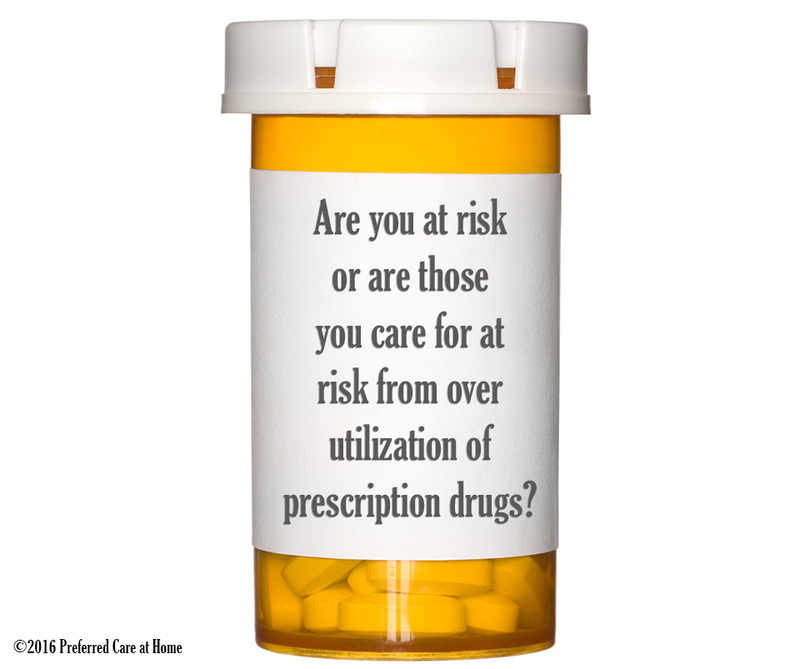 Are you at risk or are those you care for at risk from over utilization of prescription drugs? Medications often provide users with relief from some symptoms but these drugs can also carry a host of health risks and contraindications. According to a report presented by ABC’s World News Tonight, over 25% of all hospital admissions are related to adverse reactions to prescription drugs! In addition, the Journal of Law, Medicine and Ethics states that pharmaceuticals can be attributed as a leading cause of death for Americans. In light of these risks, caregivers have an apparent obligation to defend their patients who are usually quick to follow doctors’ orders before asking pertinent questions. In no way, am I suggesting that you take your patient’s pill bottles and dump them all in the trash but what I am recommending is that, as a caregiver, you pay close attention to what is being ordered for your patient and make sure your health care professional has the vital information needed to make decisions. What is this medicine for and what will it do for me? Are there any non-drug options that I could utilize? How much should I take and is there a time of day that it should be taken? What are the side effects that I might experience from this med? What kind of results should I be looking for? Will I need any tests to see if this medication is working? If I lose weight, will that help me reduce or be able to discontinue this medication? Would exercising help me reduce the need for this medication? Is there a type of diet, such as vegetarian, that you would recommend for me that would help me eliminate this medication? Should I reduce my intake of alcohol or tobacco? How can I obtain a better night’s sleep without taking a sleeping pill? And as always seek advice from professionals that deliver care in the home. These agencies can help you get the answers to some of the important questions or head you in the right direction. On a previous blog, I recommended developing a Personal Health Record. Find one on the internet that you can use as a template and write these medication questions down. I believe if you begin to make these changes, you will feel better, and be glad you are taking control of your health and living a more robust life.